How are women, and artists, “seen” and judged by their age, race, and looks? And how does this seeing change, depending upon what is asked of the viewer? What does it mean when someone states (as one teacher does) that “you will never be an Artist”—who defines “an Artist,” and all that goes with such an identity, and how are these ideas tied to our shared conceptions of beauty, value, and difference? Old in Art School represents an ongoing exploration of such questions, one that ultimately honors curiosity, openness, and joy—the joy of embracing creativity, dreams, the importance of hard work, and the stubborn determination of your own value. 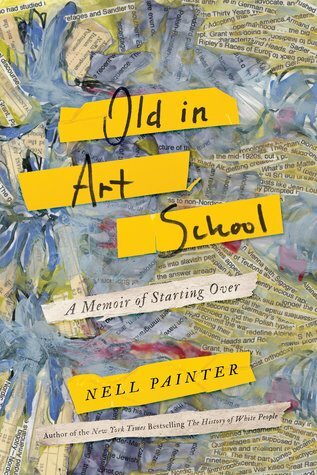 Nell Irvin Painter’s journey is filled with surprises, even as she brings to bear the incisiveness of her insights from two careers, which combine in new ways even as they take very different approaches—one searching for facts and cohesion, the other seeking the opposite. She travels from her beloved Newark to the prestigious Rhode Island School of Design; finds meaning in the artists she loves, such as Alice Neel, Faith Ringgold, or Maira Kalman, even as she comes to understand how they are undervalued; and struggles with the ever-changing balance between the pursuit of art and the inevitable, sometimes painful demands of a life fully lived.